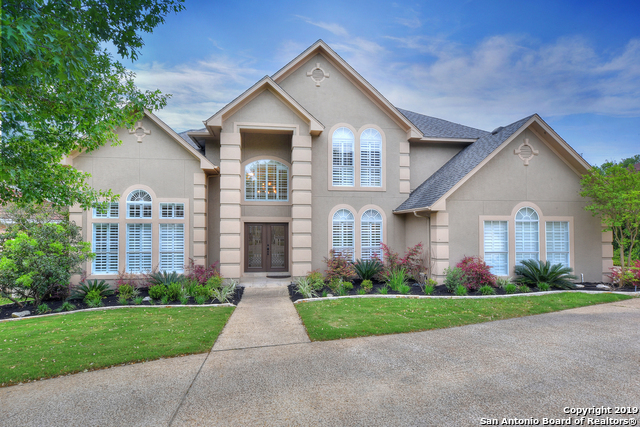 All Greystone homes currently listed for sale in San Antonio as of 04/18/2019 are shown below. You can change the search criteria at any time by pressing the 'Change Search' button below. "Magnificent 7 bedrooms, 5 full bathrooms house in the estates of Greystone, a garage bedroom has been built it as a maid's quarters for the 7th bedroom, so the total square footage of the house is around 6,918 SF, the master bedroom has 2 real bedrooms for comfort plus a Gym in the second floor, the master bathroom has steam bathroom, is a kind of resort property, a paradise you need to see it. Fresh paint and a trail to enjoy the whole property walking or running"
"Inside prestigious Greystone Estates this 4 bed-3.5 baths smart house is waiting for the perfect family to call it home! Close to all shops & restaurants in the Stone Oak area,this is a one of a kind jewel beautifully finished from the minute you walk in the door.The gourmet kitchen is perfect for entertaining as it opens onto the great room & magnificent patio with designer landscaped yard where you can enjoy wonderful days & nights.The masters boasts wonderful tranquil views & water sounds of "
"Beautiful 3 Bed Room 2 Bath Home in a highly desirable area. Walking distance from schools and Fisher Park, this home has many updates that you will not find in new homes. It has mature trees both in front and back for shade and large front porch and huge back porch for cooking or watching the big game with friends on the outside tv that conveys with property. The master bed room is very large leading in to the master bath with a large shower and separate oversized tub. You also get to 2 large w"
"Welcome home to this charming one story split plan home with covered front and rear porches. New roof and a/c in 2017. Enjoy ceramic tile in living spaces and new carpet in all three bedrooms. The master bathroom has an accessible stall shower and grab bars. 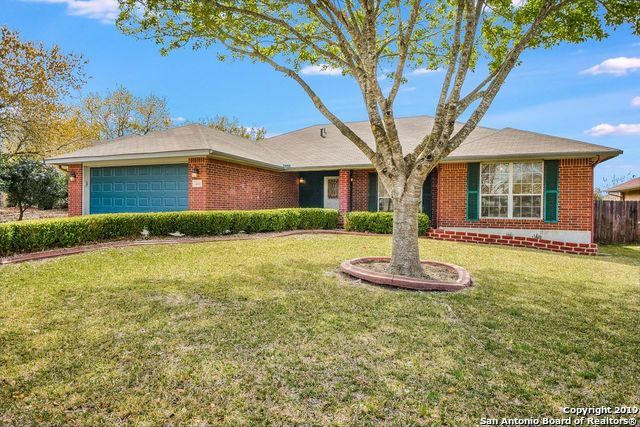 Close to Fischer park, schools, shopping and easy access to I-35."